Hello! It's Fawny Holiday week at Lawn Fawn. A week full of holiday projects and inspiration. It is also our Get Cracking on Christmas day! (if you are not familiar yet with my Get Cracking on Christmas posts, it is a monthly holiday post with my friends to create one holiday card each month throughout the year. This month Jenn & Caryn are joining me with a Get Cracking on Christmas post. I have a clean and simple glittery card to share, with a video tutorial as well. I cut the letters with Louie's ABCs and the mini wreath from Christmas colored glitter cardstock and added them to a white woodgrain cardstock base. 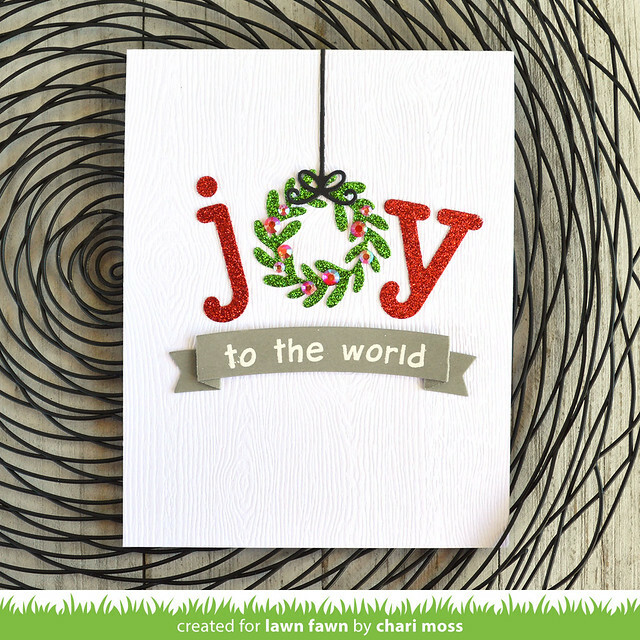 The little bow and string are from the stitched ornaments die set and I simply trimmed it off at the top so that it looks as though the wreath is hanging from the top of the card. For the remainder of the sentiment, I white embossed Harold's ABCs onto a folded banner and adhered it below. To finish off I added some red jewels to look like berries. You can see just how I created this card in the video below or HERE on my YouTube channel. 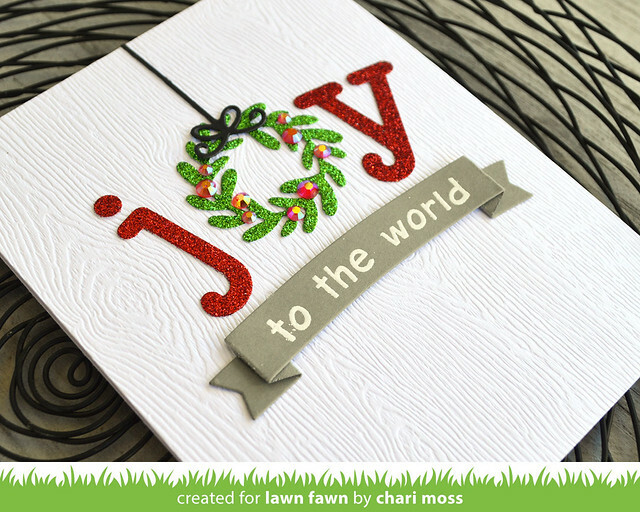 Be sure and check out the Lawn Fawn blog all week for holiday inspiration and also visit Jenn & Caryn for some Get Cracking on Christmas inspiration as well. Also if you want to join us in our monthly holiday card making please share on social media and use the hashtag #getcrackingonchristmas.